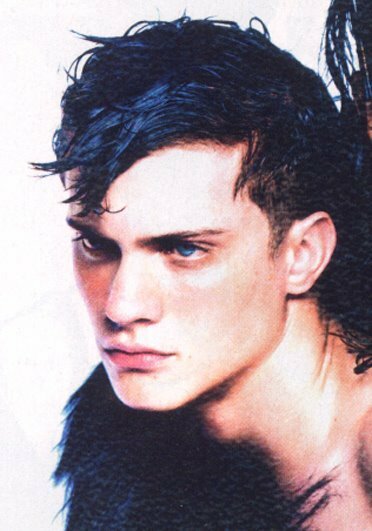 AJ Abualrub born in the USA June 20, 1987, got into the modeling world when he was named a semi-finalist in VMAN and Ford’s model search. He became a Calvin Klein favorite and appeared in their Calvin Klein Men and Calvin Klein Jeans X campaigns. AJ has also starred in campaigns for Levi’s, Uniqlo, Barney’s and Frankie Morello. He stirred up some controversy when he told the NY Times, “I dropped 30 pounds to do this...I only eat, like, maybe twice a day,” backstage at the 2010 S/S Roberto Cavalli show. Links: Models.com | Blog | EV More pictures after the jump!